There is a lot of confusion amongst students and fresh graduates with regards to the PCB fabrication process. 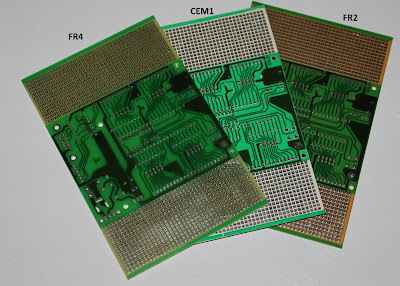 I have accumulated some knowledge from around the web (References: Link1 | Link2) and added some of my own here to serve as a ready reckoner of a few important notes regarding PCBs. Copper laminate -> Drill board -> Deposit Copper -> Photolithography -> Tin lead plate or finishing -> Etching -> Hot air level -> Solder mask -> Electrical Testing -> Routing and V-scoring -> Product inspection -> Final cleanning -> Packaging. Base Laminate - That sheet of insulating material (a.k.a. 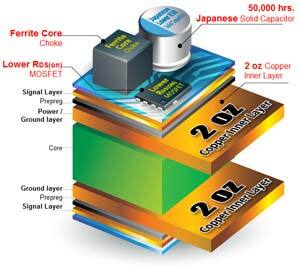 dielectric) to which a thin copper foil is affixed on either or both sides. This material is constructed by repeatedly uniting two or more layers of material together. The process of creating a laminate is lamination, which in common parlance refers to the placing of something between layers of plastic and glueing them with heat and/or pressure, usually with an adhesive. Refer wikipedia entry for Laminates. Base Laminates are of many types (depending on the materials used to make them) - FR2, FR4, CEM1 etc. Pre-preg - stands for "pre-impregnated". The Base Laminate is made of insulating layers of a particular dielectric typically laminated together with epoxy resin prepreg. A pre-preg is a sheet of material that has been impregnated with a resin cured to an intermediate stage. Read "How's FR4 Made" for a clearer explanation. Epoxy - Used to bind the various dielectric plies together during the process of lamination. Eead the Wikipedia article for a clearer picture. 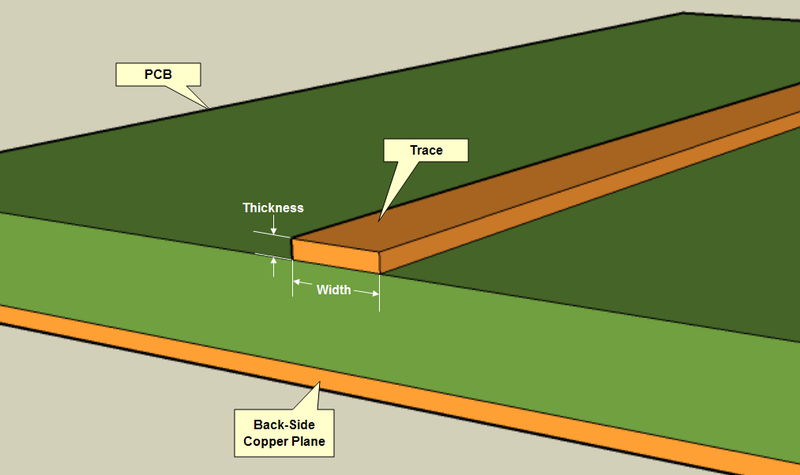 PTH or Plated Through Hole - A hole with the plated copper on its sides to provide electrical connections between conductive patterns present on two or more conducting layers of a PCB. There are two types of PTH - one is for mounting leaded components and may or may not create electrical connections between patterns of the two or more conducting layers through which it passes. The other one (called a via) is not used for mounting components and is used only for the purpose of creating electrical connections between patterns (i.e., traces) on two or more conducting copper layers. Blind via - A via hole that does not pass completely through the printed circuit board. A blind via starts from one side or another. Buried via - A via connects two or more inner layers but no outer layer, and cannot be seen from either side of the board. Pad - The portion of the conductive pattern on printed circuits designated for the mounting or attachment of components. 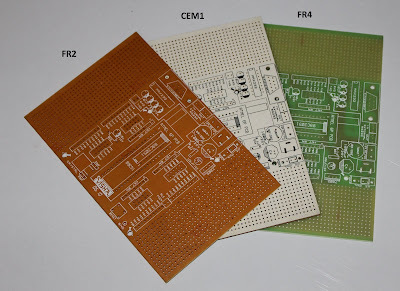 Bare Board - A finished printed circuit board (PCB) that has no components mounted yet. The material is a composite with paper as the core and woven glass cloth on the outer surfaces - each impregnated with epoxy resin. The material can provide the punching characteristics of the previous materials and many of the electrical and mechanical advantages of FR4 laminate. The surface of this material is white in colour because of the woven glass but brown on the sides because the core is made of paper. Also have a look at the Materials section of Wikipedia entry on PCB. A page describing the assembly and use of this PCB for developing the projects around the 8051 microcontroller is located here. Break up rail fencing is in general product of wood, some split rail fencing producers have learned to make vinyl split rail fencing materials web link. those vinyl split rail fencing materials are available in diverse sunglasses and therefore are completely protection-free.